Clinical Investigation (OACLI) (2041-6792) plays significant role in the diagnosis, therapy and cure of diseases apart from new drug development and delivery. 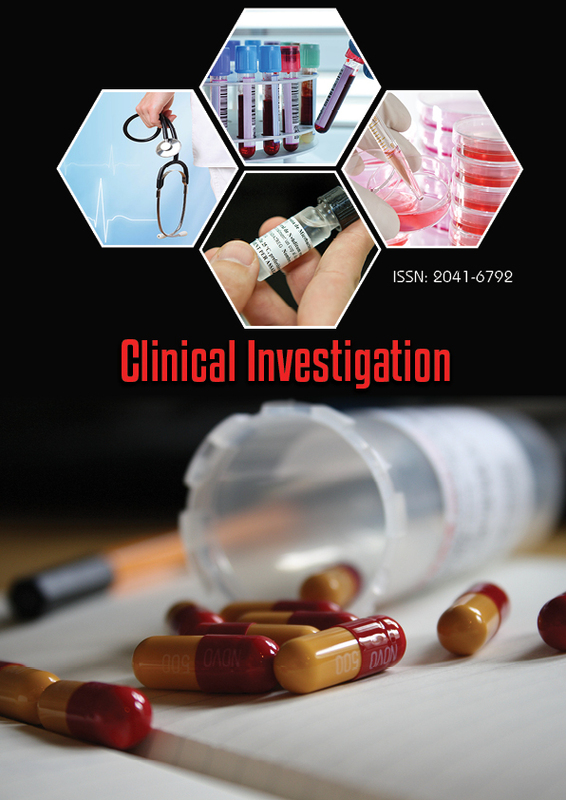 The Clinical Investigation Journal offers an Open Access platform to the scholars, amateurs, clinical practitioners and students that are keen in contributing their findings in this field. Clinical Investigation (OACLI) caters to the clinical drug development and methodology, facilitating rapid publication of research outcome on new drug data from human studies. The journal includes topics like safety and effectiveness of medications, devices, diagnostic products and treatment regimens intended for human use. Also the journal publishes expert analysis of ongoing Phase I–IV trials and perspectives on how to run future trials. The journal offers thoroughly reviewed original research as research articles, review articles, Clinical Trial Protocols, Clinical Trial Perspectives, Clinical Trial Outcomes, Clinical Trial Reports, Clinical Trial Methodologies, Clinical Trial phase I-IV findings, Commentaries on Clinical trials, case studies, commentaries, Short Communication, and Letters to the Editors in the areas not limited to Regulations and guidelines on drug development and delivery, legal and ethical issues of clinical trials, issues of testing of novel drugs, new medical procedure, new medical devices etc.